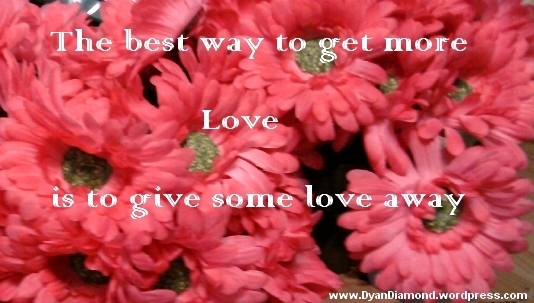 How can we give love away? Give lots of smiles. Be kind. Care. Have compassion. Do something nice for someone. It does not have to be elaborate, just heart felt. In giving love, we also receive love. Pretty great how that works out. Such a simple message and yet people really don’t know the way to get loved is to simply love!